The 2018 Fort Wayne TinCaps coaching staff will have a familiar look to it, as only one member is a newcomer to the Midwest League’s Summit City franchise. Anthony Contreras returns as manager for a third season, after leading the TinCaps to the Midwest League Championship Series last year. They lost to the Quad Cities River Bandits, but the team’s turnaround on the way there was impressive. At least partially because of an abundance of player injuries and inexperience (they had the youngest roster in the league), the TinCaps posted a dismal 26-44 record in the first half, but they rebounded to finish strong with a 42-28 record in the second half to earn a postseason berth. 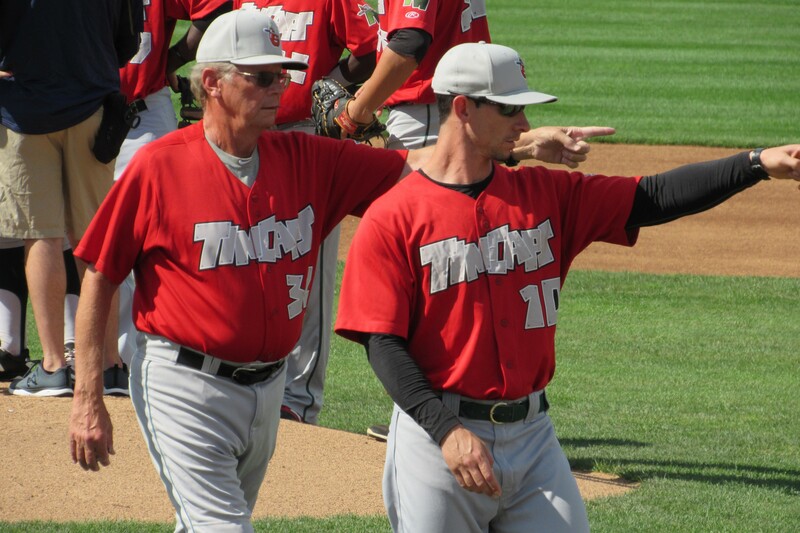 Former MLB hurler Burt Hooton also is returning to the TinCaps, for his sixth season as the team’s pitching coach. He has more than 20 years of experience as a minor-league pitching coach, and served as the Houston Astros’ major-league pitching coach from 2000 to 2004. Under his guidance last year, TinCaps pitchers set a new MWL record for strikeouts in a season (1,307). Also returning to the coaching staff is Jhonny Carvajal, who is Fort Wayne’s fielding coach. It is his second year with the TinCaps. The new addition to the coaching staff is Jonathan Mathews, who will serve as the team’s hitting coach. This is his second year with the San Diego Padres organization after previously coaching in the Arizona Diamondbacks farm system. He has been a Midwest League hitting coach twice before, for the 2014 South Bend Silver Hawks and the 2016 Kane County Cougars. This entry was posted in 2017 Playoffs, Fort Wayne TinCaps, Kane County Cougars, Midwest League, Quad Cities River Bandits, South Bend Silver Hawks. Bookmark the permalink.